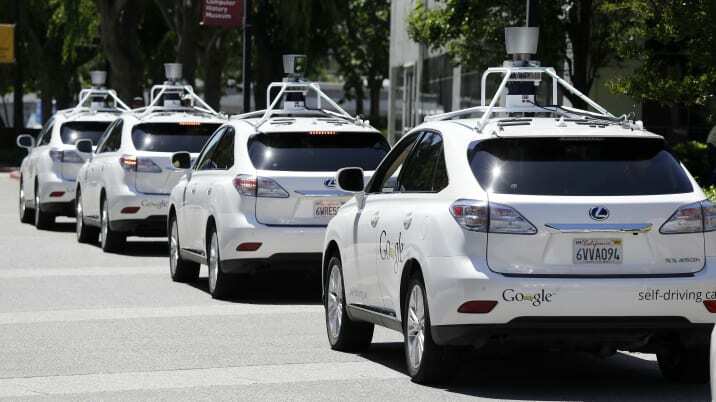 Google's most recent autonomous accident won't help ease fears. Google said Monday one of its self-driving cars bore at least some responsibility for an accident earlier this month that involved a bus in Mountain View, California. The collision represents the first time the company's autonomous technology has been at least partially responsible for a crash. That news won't help many drivers already jittery at the prospect of riding in autonomous vehicles. Three out of four U.S. drivers say they're "afraid" of riding in self-driving cars, according to a new survey released Tuesday by AAA, the nation's largest motoring organization. Researchers say the results suggest a gradual transition toward autonomous driving will ease consumer fears. Chief among the reasons drivers feared self-driving cars – 84 percent said they trusted their own driving skills more than the technology. The findings might be a setback for Google, which has advocated for widespread adoption of autonomous cars that don't require traditional controls like steering wheels and brakes. Last month, the U.S. Department of Transportation encouraged Google to reconsider that approach to its self-driving cars. The survey results released Tuesday may underscore that push from a commercial perspective. But Americans are a conflicted bunch. While 75 percent fear autonomous cars, two-thirds want some of the fundamental technologies, like automatic emergency braking or adaptive cruise control, that comprise autonomous driving. "With the rapid advancement towards autonomous vehicles, American drivers may be hesitant to give up full control," said John Nielsen, AAA's managing director of automotive engineering and repair. "What Americans may not realize is that the building blocks towards self-driving cars are already in today's vehicles and the technology is constantly improving and well-trusted by those who have experienced it." Indeed, among drivers who say they want these features on their next vehicle, 84 percent said their primary motivation was improved safety. Early indications confirm improved safety. In January, the Insurance Institute for Highway Safety said vehicles equipped with automated emergency braking features have reduced rear-end crashes by an average of 40 percent. If all vehicles were equipped with effective autobrakes, IIHS said there would have been at least 700,000 fewer police-reported crashes in 2013. While some of those building blocks are effective, not everyone is convinced self-driving cars are ready to be exclusively piloted by autonomous technology. "Self-driving vehicles simply aren't ready to safety manage many routine traffic situations without human intervention," says John M. Simpson, privacy director at Consumer Watchdog, noting that autonomous vehicle operators in California had thousands of instances of autonomous disengagement during a 15-month stretch of testing. On February 14, Google's autonomous technology, perhaps notably, didn't disengage as the Lexus RX 450h nudged toward the center of an eastbound lane on El Camino Real in Mountain View in an effort to avoid sandbags left along the right side of the lane. Details from the accident remain unclear, but the Google car struck the side of a bus that belongs to the Valley Transportation Authority at less than 2 miles per hour. In a statement, Google accepted at least some responsibility for the accident, though it was not immediately known whether police officers would follow with a more detailed report. Concerns over the readiness of autonomous technology weren't the only reasons consumers rejected self-driving cars in the AAA survey. Fifty-seven percent had more practical concerns. They said they didn't want to pay extra. Forty-five percent of respondents said they found the technology "annoying." Baby Boomers showed the greatest fear of autonomous cars, with 89 percent saying they'd be afraid to ride in one compared to 69 percent in younger generations. Along gender lines, 89 percent of women said they'd be afraid to ride in a self-driving car compared with 67 percent of men. Overall, AAA surveyed 1,832 drivers ages 18 or higher. "It's clear that education is the key to addressing consumer hesitation towards these features," Nielsen said. "AAA's on-going effort to evaluate vehicle technologies, highlighting both the benefits and limitations, is designed to help drivers make informed choices."